I just updated my privacy settings on Google. They were going to use my name and face in ads. Now they can’t. It was easy. Here’s how to update your Google settings. Next, Facebook. Last time I checked, my settings allowed anyone to post updates on the front lawn of my house. Or something like that. By the way, if you know how to turn off all game invitations, could you do me a solid and let me know? Anyway, privacy is a hot topic today, and your clients want to know what you think and even more, what you advise. If you’re looking for a topic for your newsletter or blog, something that will get opened and read and appreciated (and bring you some search traffic, too), this is it. What are the current laws? What needs to be changed? What can people do to protect themselves? Do you have an opinion on Snowden, the NSA, or The Patriot Act? Have we gone too far in the name of stopping terrorism or is our lack of privacy a necessary evil? You don’t have to take a position if you don’t want to. You could present both sides and let your readers decide. Or, you could come out with both barrels blazing and get people fired up. At the very least, pass along to your readers some basic information about how to update their settings, as I did at the top of this article. Of course changing settings doesn’t really protect you from much of anything. It just makes us feel a little less powerless than we really are. Get hundreds of ideas for your blog or newsletter with this. Social media marketing is networking online. Having fans and followers without engaging them would be like going to a networking event and not talking to anyone. What do you do when you don’t know what to post or you don’t have time to converse with your fans and followers? A recent survey by Roost, a social marketing platform, has the answer. They evaluated more than 10,000 Facebook and Twitter posts by small businesses from over 50 industries and determined which posts yield the highest levels of interaction. It turns out the activities with the highest levels of engagement happen to be the simplest and most accessible. That’s good news. Photos and quotes are already streaming through your feed. All you need to do is is share the ones you like. More good news: links are 87 percent more likely to be shared than any other post type. So, as you go about your daily reading of blogs and articles, find the ones you like and share them. The bottom line is that you don’t need to spend a lot of time engaging your followers, nor do you need to have original content, although in my opinion that can only help. Unless, of course, you want to share all 187 photos of your family trip to Disneyland. Social media is networking online and sharing of content is part of the conversation. But just because it’s easy to share everything doesn’t mean you should. Share content that you like, but even more, share content the people who follow you will Like (with a capital “L”). 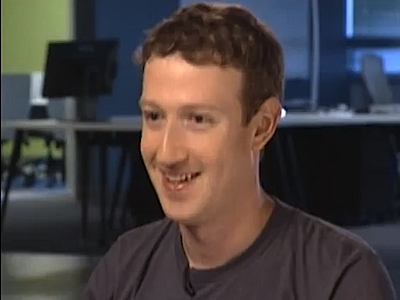 Mark Zuckerberg was interviewed recently by Charlie Rose. Mashable published twelve quotes from that interview. I clicked through the quotes in the slide show and didn’t think much of them. Perhaps they lost something outside the context of the actual interview. It seems simplistic, doesn’t it? “Start with the easy things.” But it is truly profound. How about you? Do you start with the easy things or, like me, do you first jump into the deep end of the pool? Perhaps we equate “easy” with “having less value,” but in the practical sense, that isn’t true. The things we can do without a lot of thought or effort are often of greater value because they allow us to get started and getting started is the most important part. Most business projects never see completion because they never get started. They remain ideas, Someday/Maybes, wishes and dreams. Perhaps you did get started, but you started on the difficult things first and saw first hand the immensity of the challenge. Now you know you can’t do this. Maybe some day. What if you did the easy things first? What would happen? You would learn things you need to know. Meet people who can help you. Gain confidence. And momentum. If Mark Zuckerberg had thought about Facebook as anything more than what it was when he started, a little dorm room project, he may never have started. It was easy for him in the beginning, and fun. The hard parts came later after he was committed. The most important part of any project is getting started. Marketing legal services on Facebook, Twitter, LinkedIn, or any other social media platform, begins with your profile. This is the first thing prospective clients and referral sources see. Your account name. Ideally, this should be your name, not your firm or practice. Social media is about people engaging with other people. You may “like” or “follow” a company or product page but you can’t talk to that product, only to the people behind it. The ultimate purpose of social media marketing is to expand your “warm market,” i.e., the number of people who know, like, and trust you. YOU, not your firm. Brand yourself, not your firm. Your firm can also have a page or profile, but this is not a substitute for your own personal profile. Your profile photo. This should be a photo of you. Not your firm logo, not a group shot, not a sunset, not your dog. People want to see who are they are friending/following/engaging with/thinking about hiring. Anything other than your photo puts distance between you and them. Use a professional looking head shot. It doesn’t have to be a professional photo, but you must look “professional”. No mugging. Clients don’t hire clowns. Your bio. Don’t make it all about your work, include personal references. This invites conversation. The first step in any networking conversation is the “search for commonalities,” so if you like to play chess, as I do, include it in your bio. Also, your bio is not a resume. (If you’re looking for a job, include a link to your resume or linkedin profile). Therefore, don’t make your bio about your work history. Nor should it be an ad for your services. Talk about how you have helped clients in the past, so that prospective clients can see what you can do for them. One more thing: include your location. People hire local attorneys. Link to your web site and other social media accounts. Don’t rely on one account, give people as many ways to read about you and engage with you as possible. Someone may find you on LinkedIn, for example, but converse with you via Twitter. Also, I just updated my Twitter profile to include a link to my web site, even though I already had it in the box Twitter provides for that purpose. The reason: when you first look at a Twitter profile you don’t see the web site link until you click through to the actual profile. This post says that making this change increased the number of clicks from Twitter to her web site. Make sure to include “http://” to make the link clickable. Include keywords. Social media profiles show up in search results on the site itself and via search engines. Include your key words throughout your profile, so someone looking for an estate planning attorney in Tampa can find you. Go take a look at your social media profiles. Can people find you? Are you making a good first impression? We often hear that the secret to success in marketing is to “be yourself”. But what if you’re a jerk? Can you build a successful law practice if you’re not likable? Actually, I think you can. We all know lawyers who clearly haven’t read, “How to Win Friends and Influence People” but build successful practices anyway. Their strengths–drive, work ethic, skill set–allow them to overcome their interpersonal shortcomings. What if the successful jerks of the world weren’t jerks–would their success have come any sooner or been any bigger? One could argue that it’s better to have people like you and want to be around you, that it’s better to be liked than respected. But that’s not true of sports coaches or military leaders. They don’t want friends, they want to win. In fact, in the sports and military realms, befriending your charges can be a liability. Speaking for myself, yes, I do want to be respected and I also want to be liked. I feel good when people appreciate not only my work but me as a person. I like to be liked and I think you do, too, and while we may not need to be liked to be successful, for most of us, it does make it easier. The article, “20 Reasons People Unfollow You on Twitter,” provides practical advice for building your social followers, (actually, for not losing your social followers), but also a paradigm for un-likeability in general. If you are an unrelenting self-promoter of your legal services, for example, a common failing of many attorneys in social media and in-person networking, you’re chasing people away. They don’t like you and they don’t have to listen to you–and they don’t. In social media, likability has another meaning: “follow-worthy”. People may not like you personally but if you provide good content, they may “Like” you and follow you. Social media metrics don’t care if you’re nice or not, either your numbers are going up or they aren’t and if they aren’t, you can do something about it. I just put, “Likeable Social Media: How to Delight Your Customers, Create an Irresistible Brand, and Be Generally Amazing on Facebook (& Other Social Networks).” on my reading list, after reading this review. I think I’m a likable guy but hey, who wouldn’t want to be “generally amazing on Facebook (& other social networks)”? Lawyers: Facebook, Twitter or Google+? Larry Bodine said goodbye to Facebook and Twitter; he’s now a “plusser”. Jennifer Golden is fed up with Google+ fanatics; she says Google+ doesn’t do anything you can’t already do on Facebook. And with the recent growth of Linked In, Steven Fairly notes the increased opportunities for lawyers to meet new referral sources. So who’s right? Which social media is best for marketing legal services? If you’re going to incorporate social media into your marketing, why would you want to ignore Facebook, for example, with 750 million users, or Twitter, with it’s preponderance of influential Twitterati? Social media marketing is time consuming. Checking in, following, commenting, posting, sharing, finds most people spending way too much time relative to the return on that time. And so most of us do have to pick and choose what we do with social media. But that does not mean we have to give up one platform in favor of another. I am not a social media power user. I’m still trying to figure out Facebook fan pages, but I do have one. Twitter seems like the place to go if you like lots of noise, but I do regularly post. I have accounts with Linked In and Youtube. And I have a Google+ account which I haven’t spent much time on yet. So I am “connected” via social media, at least insofar as the biggies are concerned, and you should be, too. But here’s the thing: I’m not connected via social media because I am “social,” I’m connected because that’s where the people are. I may not be very active on any one social media platform but many of the people who follow me are. When I share something they like, they share it with their followers. And that’s the point. You should have business accounts with Facebook, Twitter, LinkedIn, and, probably, Google+. Youtube is the only other option, if you produce videos. Don’t worry about the hundreds of other social media platforms, stick with these, that’s where the big numbers are. You will have to add/follow folks so that there is someone to talk to, but this can be done late at night, and will grow, over time. A few will lead to a few more and if you regularly post good content, this will occur (to some extent) naturally. Connect your social media accounts to your web site or blog. Encourage visitors to follow/friend you and to use the social media badges on your site to share your content with their friends and followers. Use software that allows you to post/update on all platforms simultaneously. If you have a blog, your RSS feed should post to your social media accounts; when you tweet on Twitter, your Facebook friends and fans should see the update. Share your good content or somebody else’s, once or twice a day. Check your emails and direct messages, reply if warranted (this is networking, after all), but unless you are very good at growing your social media network and it is resulting in clients, and thus, is a significant source of growth in your practice (or you want it to be), you don’t need to spend more than 15 minutes a day on social media. As for your favorite platform, the one where you focus a bit more of your time and energy, just pick something. It doesn’t matter which one. As the social media world grows, Facebook may wane and Plus may wax and many things will change. Nobody knows where social media will be in five years, let alone five months, so don’t sweat it. Lastly, if you don’t understand social media (and don’t want to) or you don’t enjoy it, if you have more money than time, I give you permission to disengage from all social media and do something else to grow your practice. Life is supposed to be fun, and that includes business, and if it’s not, do something that is. What do SEO and client relations for lawyers have in common? Good. 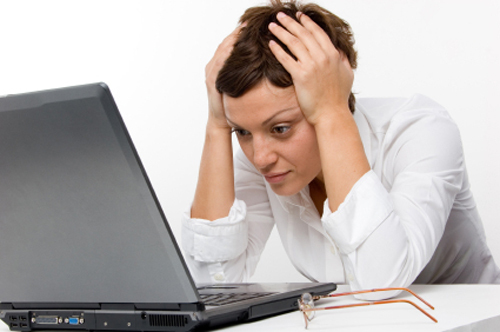 If you have time to write a lot, your clients and prospects might not read what you send them. While frequency of contact is important, quality is far more important. Instead of writing low-quality weekly messages, you’ll do far more to strengthen your relationships and build your reputation by sending a high-quality missive once a month. I am subscribed to hundreds of blogs and email newsletters. My email inbox and RSS feed reader are inundated. Several times a day I peruse these offerings. I spend most of that time skimming the headlines and deleting or archiving nearly every article. I may scroll through ten or twenty percent but I probably read no more than two percent. The ones I read (and, often save) are where the real value for me lies. I stay subscribed to this multitude of newsletters and blogs because they give me a sense of what’s trending in my areas of interest. I also find articles I can share with my Twitter and Facebook companions. And, I do find articles worth reading. If I don’t have time to read them on the spot, I save them to read later. Many of the publications I follow publish several times per week; some of the bigger publications publish twenty or thirty articles per day. I filter through a large quantity of articles looking for the few of high quality. Sometimes they come from the multitude. More often, they come from the handful of sources that consistently provide high quality material. They may not post frequently and not everything they post is golden, but the most useful material (for me) usually comes from the same sources. Those are the ones I look forward to and make sure I read. So, if you write a newsletter or blog, you don’t have to write every day or three times a week or even weekly. Write when you can but make it worth reading. Your clients and prospects will appreciate it. Apparently, uncle Google agrees. Carolyn Elefant writes that while in the past, quantity of keywords and links to a web site determined primacy in search engine ranking, Google has modified its algorithm to better reflect the quality of those keywords and links. You don’t need everyone linking to your site, so long as you have the right ones. Attorneys carry business cards. Always have, always will. Today, attorneys also need a virtual business card, a web page displaying their basic contact information and links to their social media accounts. I published a video about the virtual card I created, using a wordpress plug-in. But what do you do if you don’t have a wordpress.org-powered site? This article has some great alternatives. I opened an account at card.ly. Unfortunately, as the article notes, the skin customization preview isn’t working. I also downloaded The Digital WordPress Business Card Theme, to try out on my site. I’ll update this post if I wind up switching. With the continued growth of Internet usage in general, and social media in particular, attorneys need to make it easy for people to find them. Virtual business cards and personal social media “hub pages” are a simple way to do that. Okay, this first video isn’t specifically about legal marketing, but I’ve got a youtube channel now and will be posting videos you can watch while sorting email or having your morning coffee. Actually, I’ve got some good things planned and when you subscribe to my channel you’ll be notified when there’s a new video posted. 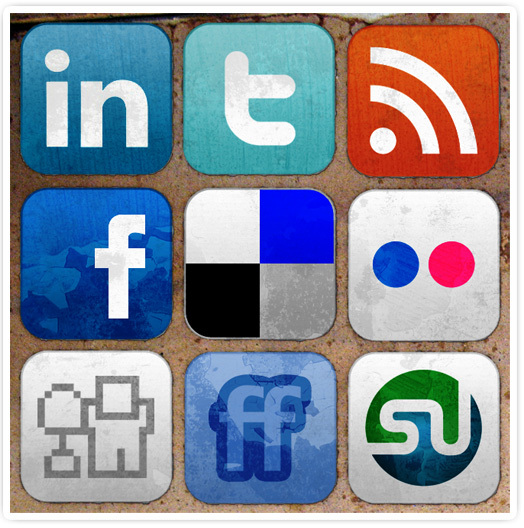 I also added social media badges to the blog for youtube and linkedin. What’s this first video about? Well, social media. I wanted to have a simple page where people can find the links (badges) to all my social media accounts so they can friend/follow/like me. Since I have another business and blog, this was even more important. I was getting to the point where even I couldn’t remember how to find me. Anyway, this short video explains what I did in case you want to do the same. Oh, please also use the share button or tweet button to tell people about this post. They might want to show their spouse that they aren’t the only ones who can’t speak proper English.